We come through in this hour of your time at this most auspicious moment where the moon is full and in her exalted sign of Sagittarius, indeed this is the penultimate moon of the summer solstice 2015. We come forward now to offer some deep Soul guidance and clarification regarding specific aspects of the twin flame energetics that are aligning now in what you would term the lower fourth dimensional field, and moving, rapidly into the higher third dimensional field of consciousness, and that is the full grounding into the earthly plane of the Yeshua & Magdalene Divine Union Ascension Template. We are currently moving rapidly towards the Summer Solstice stargate (In the Northern hemisphere) of 2015. This is now aligning with an intentional ascension timeline that was placed into the earthly Grid, at the time of Lemuria, which was set to fully activate at this time of 2015. The area where this stargate aligns with Is the great pyramid in Giza. This ascension programme was anchored at the time of Lemuria and was designed to activate on the earthly plane at a particular timeline convergence in accordance with specific planetary alignments. We come now at this hour of your time to inform You that this ascension timeline holds within its very core the template of the fully realised and successful Yeshua and Magdalene Holy Divine Union. It is our greatest joy to share with you now that this template is being fully activated now during this time in this year of 2015. At the time of lemuria an intention was set by the highest galactical council of light that mother earth and all her inhabitants would attain full ascension through the activation of the Yeshua and Magdalene divine union template. 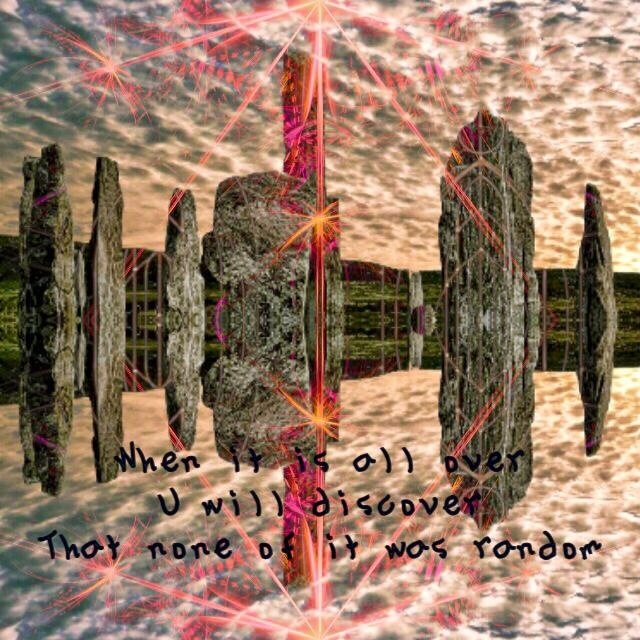 This intention was stored in the Akashic fields within the lower fourth dimension, deep within the vortices of the underground chambers of the great pyramid of Giza… Here it was intended by the higher council who are also known as the Great Elohim that at a certain time in the evolution of humanity, these codes would fully align with the earth matrix, that humans would be able to download the ascension codes of immortality, interplanetary travel, bilocation,telepathy,levitation and many other by products of ascension…. Beloveds right now, you are being literally saturated with the most profound assistance from us in the higher planes interplanetary and outer planetary speaking. This has been dispensed from the higher dimensions to fully support you now as you make this commitment to actualise this divine union template within your very own 3-D matrix. This is such a powerful time now as the portal in Egypt which is in many ways the Mother Stargate within the earth's planetary grid, is releasing the full dispensation of this energetic template, and is now very much linking up with all the other sacred sites around the earth and is literally pumping out the divine union template into all these high potent sacred site points on Gaia. 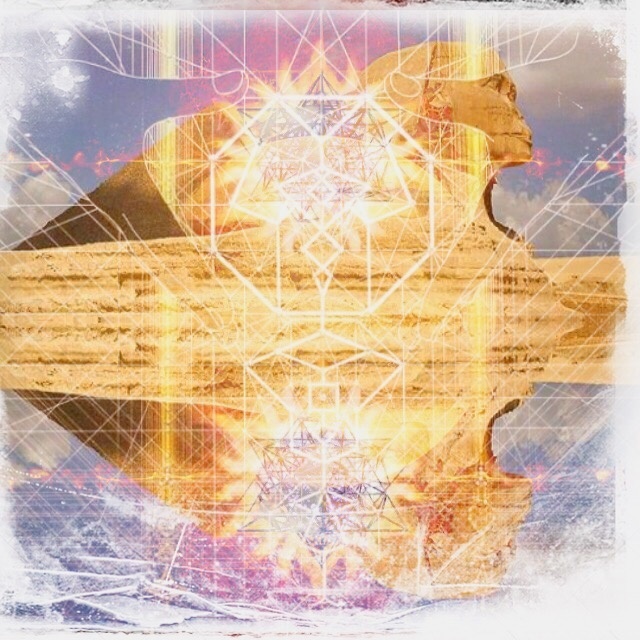 This would be an auspicious time in your meditations to link up with the great chambers in the sacred Pyramids of Egypt, send your light body there, to support energetically in the midwifery of this new wave of higher frequencies that are moving rapidly through Gaia in this moment of NOW…. 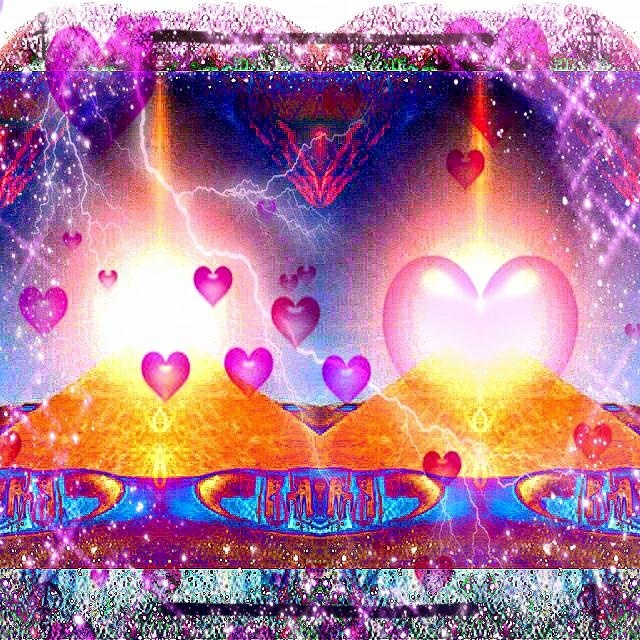 This type of light work will be appreciated profusely by all who are involved with the earth's assured ascension into the 5th dimension…..
Beloveds, Your intuition is correct…….. And for Many many illumined twin flames the time for reunion with your heart's true beloved on the earthly plane is Imminent, recognition has already taken place for many of you, and now the inevitable trajectory is reunion with the divine consort of your soul. Resistance can only be offered by the mind…. thoughts of fear/ doubt and disbelieve serve to block the great good the universe has lined up for you and is set to occur for you within the activation of this timeline. Illumined twin flames your task now is to be stable in your frequency of wholeness...this is the absolute key, stability is essential. What does this mean? It means being so utterly consumed by self-love that there are literally no actions that can happen outside of you that could cause you to doubt or question your inherent worth. It means remembering that the true source of happiness is in the safest place God could have put it and that is inside your very own heart/ being and consciousness. Stability means consistently surrendering all thoughts of the mind to the silence and emptiness of the now moment and committing to that over and over again. Stability is standing in the centre of the storm and barely even registering a wobble, when you are stable in the zero point field, the space of awareness that is the source of all phenomena, then the twin flame frequencies are truly allowed to permeate and saturate your field, to calibrate you, realign you, and bring you back home. You are your beloved and your beloved is truly You, and there is no separation. Separation only exists in the frequency that is known as the third dimension, and this is actually an illusion, simply a projection and reflection of your own consciousness. rest in the knowledge that your creator loves you and has truly sent forth her one and only only begotten son/ daughter to be your heart's true beloved. This is a promise our creator self makes to all her children, to send forth the highest representative of God herself….. This has been decreed and so mote it to be. And now beloveds in this realm, of maya, where nothing is truly as it seems. you are being called upon to trust in the eye that sees with singularity and the higher heart knowing of the identity of the one who stands in front of you now, does this divine being before you possesses the perfect keys to unlock the hitherto sticky locks to your own awakening and ascension consciousness, in order to activate the true state of bliss, that is the birthright of all Mother Father God's children…….Only you can answer that. It is our intention to infuse your consciousness in this now moment with the frequency of hope and inspiration on this full moon night. Declutter and make way for the new…..
For the new is coming, and it needs a clean and clear space to come into. Exciting times are upon many of you now, These are the times many of you have deeply prayed for. Remember you are never alone, and at the times you feel the most alone believe us when we say these are the times that the true beloved of your soul carries you……... your entire wellbeingness is eternally guarded by the one who God has sent forth from the higher eternal planes. Rest in this knowing, and trust in the love you know is real in your heart. These words have been infused with the energy of encouragement and great great love. We love you all so much and wish to confirm that indeed God does hear all your prayers, every single one of them, and they are lovingly stored and guarded over safely in the Akashic fields. encoded with God's promise of perfect delivery in divine timing. For God would never have said “Ask and it is Given” if this were not the absolute truth. Beloveds, allow your prayers to be answered now if you are not united with your twin flame on the physical earthly level ,by using this time to truly master the art of mindful awareness. The mind has been designed to be a humble servant of the mighty super consciousness that governs all matter and antimatter, when the mind is given the power and authority to direct the flow of thoughts and therefore energy, then this can be likened to a shadow being cast upon the infinite good that has been lined up for you on the higher planes of consciousness…. However as you commit to diligently remembering to practise resting as awareness for short moments when ever you naturally remember to do so, this one action will be firmly placing the mind back to its original designed purpose which has always been to be the empty container from which the divine can infuse and enter………. We are offering you a practice that you may Master and successfully navigate that which is known as the mind. We trust that you all are equipped with the perfect tools to actualise your full ascension in this lifetime, and please know that we on the higher dimensional planes bow to the integrity and radiance you authenticate as you traverse this (definitely not for the faint hearted) somewhat tumultuous yet profoundly exalted mountain peak back to full earthly union with the true beloved of your soul.